Oldham Athletic win 5-4 on penalties. Chelsea U21 win 13-12 on penalties. Colchester United win 4-3 on penalties. Swindon Town win 4-2 on penalties. West Ham U21 win 3-2 on penalties. Stoke City U21 win 4-3 on penalties. Match ends, Doncaster Rovers 0(3), Port Vale 0(4). 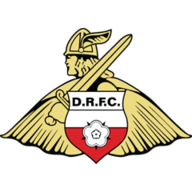 Penalty Shootout ends, Doncaster Rovers 0(3), Port Vale 0(4). Goal! Doncaster Rovers 0(3), Port Vale 0(4). Sam Hart (Port Vale) converts the penalty with a left footed shot to the bottom left corner. Goal! Doncaster Rovers 0(3), Port Vale 0(3). Paul Keegan (Doncaster Rovers) converts the penalty with a right footed shot to the bottom left corner. Goal! Doncaster Rovers 0(2), Port Vale 0(3). Quentin Pereira (Port Vale) converts the penalty with a right footed shot to the top right corner. Goal! Doncaster Rovers 0(2), Port Vale 0(2). Liam Mandeville (Doncaster Rovers) converts the penalty with a right footed shot to the top right corner. Goal! Doncaster Rovers 0(1), Port Vale 0(2). 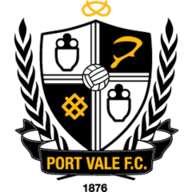 Paulo Tavares (Port Vale) converts the penalty with a right footed shot to the top right corner. Penalty saved! William Longbottom (Doncaster Rovers) fails to capitalise on this great opportunity, right footed shot saved in the top centre of the goal. Penalty missed! Still Doncaster Rovers 0(1), Port Vale 0(1). Anthony Grant (Port Vale) hits the right post with a right footed shot. Penalty missed! Bad penalty by Cedric Evina (Doncaster Rovers) left footed shot is close, but misses to the left. Cedric Evina should be disappointed. Goal! Doncaster Rovers 0(1), Port Vale 0(1). Remie Streete (Port Vale) converts the penalty with a right footed shot to the top right corner. Goal! Doncaster Rovers 0(1), Port Vale 0. Jordan Houghton (Doncaster Rovers) converts the penalty with a right footed shot to the top right corner. Penalty Shootout begins Doncaster Rovers 0, Port Vale 0. Second Half ends, Doncaster Rovers 0, Port Vale 0. Corner, Doncaster Rovers. Conceded by Miguel Santos. Attempt saved. Jordan Houghton (Doncaster Rovers) left footed shot from outside the box is saved in the top right corner. Attempt saved. Anthony Grant (Port Vale) left footed shot from the right side of the box is saved in the top centre of the goal. Attempt saved. Rigino Cicilia (Port Vale) right footed shot from the centre of the box is saved in the centre of the goal. Hand ball by Cedric Evina (Doncaster Rovers). Foul by Calvin Mac-Intosch (Port Vale). Foul by Riccardo Calder (Doncaster Rovers). Sam Hart (Port Vale) wins a free kick in the defensive half. Attempt saved. Niall Mason (Doncaster Rovers) header from the centre of the box is saved in the top centre of the goal. Attempt saved. William Longbottom (Doncaster Rovers) left footed shot from the centre of the box is saved in the top left corner. Substitution, Port Vale. Paulo Tavares replaces Anthony de Freitas. Foul by Jordan Houghton (Doncaster Rovers). Riccardo Calder (Doncaster Rovers) wins a free kick on the left wing. Foul by Quentin Pereira (Port Vale). Foul by Tyler Garrett (Doncaster Rovers). Attempt missed. William Longbottom (Doncaster Rovers) left footed shot from very close range is close, but misses to the right. Attempt saved. Jordan Houghton (Doncaster Rovers) right footed shot from the right side of the box is saved in the top left corner. Substitution, Port Vale. Rigino Cicilia replaces Sam Kelly. Attempt blocked. Liam Mandeville (Doncaster Rovers) left footed shot from outside the box is blocked. Corner, Port Vale. Conceded by Riccardo Calder. Substitution, Doncaster Rovers. Jordan Houghton replaces Alfie Beestin because of an injury. Corner, Port Vale. Conceded by Paul Keegan. Attempt blocked. Sam Kelly (Port Vale) right footed shot from outside the box is blocked. Substitution, Port Vale. Chris Mbamba replaces Kiko. William Longbottom (Doncaster Rovers) is shown the yellow card for a bad foul. Foul by William Longbottom (Doncaster Rovers). Attempt saved. Anthony de Freitas (Port Vale) header from the centre of the box is saved in the top centre of the goal. Corner, Port Vale. Conceded by Cedric Evina. Alfie Beestin (Doncaster Rovers) wins a free kick on the right wing. Attempt missed. Niall Mason (Doncaster Rovers) header from the centre of the box is just a bit too high. Second Half begins Doncaster Rovers 0, Port Vale 0. Substitution, Doncaster Rovers. Frazer Richardson replaces Craig Alcock because of an injury. First Half ends, Doncaster Rovers 0, Port Vale 0. Sam Kelly (Port Vale) wins a free kick on the left wing. Attempt missed. Niall Mason (Doncaster Rovers) left footed shot from outside the box is too high. Corner, Doncaster Rovers. Conceded by Calvin Mac-Intosch. Hand ball by Sam Kelly (Port Vale). Attempt saved. Riccardo Calder (Doncaster Rovers) right footed shot from outside the box is saved in the top centre of the goal. Attempt saved. Cedric Evina (Doncaster Rovers) right footed shot from the right side of the box is saved in the top centre of the goal. Foul by Anthony de Freitas (Port Vale). Quentin Pereira (Port Vale) wins a free kick in the attacking half. Liam Mandeville (Doncaster Rovers) is shown the yellow card. Liam Mandeville (Doncaster Rovers) has gone down, but that's a dive. Corner, Doncaster Rovers. Conceded by Nathan Smith. Attempt missed. Quentin Pereira (Port Vale) left footed shot from outside the box is close, but misses to the left. Attempt saved. Dan Turner (Port Vale) header from the centre of the box is saved in the top centre of the goal. Anthony de Freitas (Port Vale) wins a free kick on the left wing. Riccardo Calder (Doncaster Rovers) wins a free kick on the right wing. Attempt missed. Sam Kelly (Port Vale) left footed shot from outside the box is too high. Attempt missed. Quentin Pereira (Port Vale) left footed shot from the centre of the box is just a bit too high following a corner. Corner, Port Vale. Conceded by Craig Alcock.